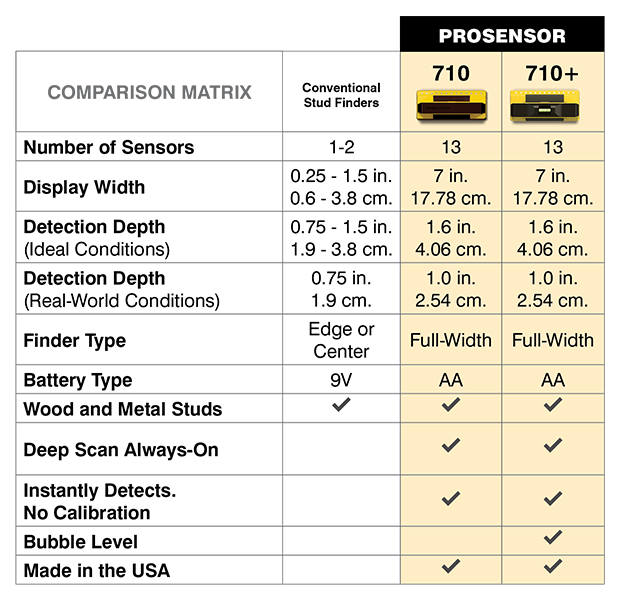 Designed with the professional contractor in mind, the 710+ is our most accurate and deepest sensing stud finder. 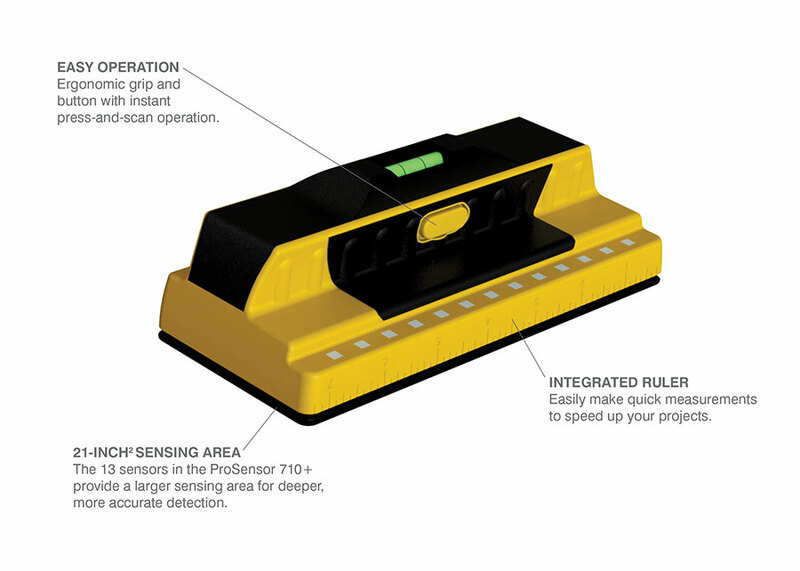 It has a max detection depth of 1.6” while still being tough enough to withstand being dropped off your ladder or tossed into the back of your truck. The 7” extra-wide LED display not only shows you the center and edge of studs, it can also save you time and read the width of multiple studs that you’ll find around windows and doors. We’ve also given you other the features to make your job easier. Our 7-Inch horizontal LED display shows the stud’s center and edge simultaneously. Excellent product! Saved me so much time and labor with moving a house thermostat from one area to another. 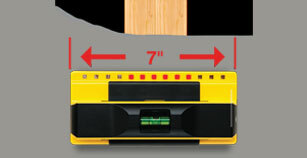 It is so much easier to use than a standard stud finder. I was able to use it an mark the walls as if using an x ray. I was able to see where all the studs were double stacked and where the header was over a door instead of ripping out sections of drywall to run a wire I was able to create the absolute minimum amount of drywall damage. This made patching a breeze. I wish I had this years ago. It would have made life so much easier. Worth every penny! Handy people will love it! AWESOME. Works as described. I remodeled a house and this sensor saved me lots of work! Every junction box, TV mount and drywall screw is perfectly placed. Best stud finder I have ever used (been in skilled trades for 21 years). Worth every penny! 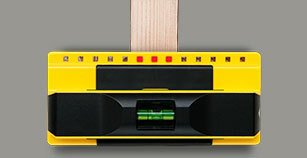 As a contractor, this by far the most accurate and dependable stud finder I have ever used. Worth every penny.